It’s January! Start off the new year by reading some good books! From the author of the beloved A Man Called Ove comes another tender story about love, family, and loss that will touch your heart. This is a novella of under 100 pages that is told in a dream-like state: you need to read it all the way through before it will all make sense and then you will want to go back and re-read certain parts to absorb the wisdom. The book opens with an elderly man and his young grandson sitting on a bench in a town square. Each day, the square gets smaller. As you read, you realize that the bench and the square are a metaphor and we are really inside the man’s brain: he is beginning to suffer from dementia and he is looking back on his life, trying to cling to each precious memory before it is lost. The book touches on the man’s relationship with his son, his grandson, and his late wife of more than 50 years. There are touching moments when he remembers himself and his wife together when they were young and when he talks to his wife in the present, trying to come to terms with the loss of his memories, his regret over his difficult relationship with his son, and how to explain to his adored grandson that he will lose his grandfather before he is actually gone due to the dementia. Heart-breaking but beautiful, this story brings home the realization that at the end of a life, what matters the most is your relationships with your loved ones. The greatest gift we can leave behind is to be loved and remembered. This book offers a light take on a dark subject. It is an alternate history, putting a dog named Sirius in the midst of some of the darkest events of the 20th century. Sirius is a charming fox terrier belonging to a Jewish family in 1938 Berlin. Sirius’s family is lucky enough to escape Germany shortly after Kristallnacht. Through a connection with the actor Peter Lorre, they immigrate to Hollywood where Carl, the head of the family, works for Jack Warner, of Warner Brothers. Sirius becomes a famous movie star and hobnobs with the likes of Rita Hayworth and Humphrey Bogart until a mix-up separates him from his family and sends him back to Berlin, where he ends up the lap dog of Hitler himself and plays a role in the downfall of the Third Reich. Whimsical and absurdist, this is an entertaining book that is ultimately about the love and dedication of family. The women of NASA, this overlooked group of American women, these female scientists, finally get their story told. Inspiring…a hidden history of our race to space. An easy read for a very complicated subject. I don’t even like running or am a fan and I loved this book. What a bunch of crazy characters! Students of running or anthropology will want to read this book. This is an interesting book to read, especially after consuming all the holiday food and in conjunction with our New Year’s resolutions. Except, as I learned from the book, those resolutions don’t really start until after the Super Bowl. The book, written by a food writer and Culinary Institute of America director, has been called “a provocative look at how and what Americans eat and why.” Egan takes us for an eye-opening journey about American food culture and examines our changing eating habits – the good as well as the bad ones. The author puts together facts from food science and psychology and creates a powerful yet entertaining and engaging look at diverse food in America. There is a chapter for everyone – it does not matter if you are a curious cook, casual eater, or student of food marketing and psychology. The book is both very entertaining and highly informative. She talks about the phenomenon of sad office lunches and about our obsession with the latest trends (low-fat, organic, gluten free, etc.) My favorite was a very insightful chapter on Democratization of Wine in which the author explores the role that Trader Joe’s played on changes to the American food market. Thank you, Trader Joe’s! Before he was crime novelist Richard Castle in ABC’s Castle, Nathan Fillion portrayed space pirate Malcolm Reynolds in Firefly. Shrewd and clever, he is willing to do whatever it takes to survive on the edges of civilization. The best way to describe this short-lived show is space western–it’s what you would get if you set a western in the future. Mal assembles a crew aboard his aging Firefly-class ship, Serenity, and unintentionally develops a fondness for them he never thought possible. This crew is portrayed by Gina Torres, Alan Tudyk, Morena Baccarin, Jewel Staite, Adam Baldwin (not related to the other Baldwin brothers), Sean Maher, Summer Glau, and the late Ron Glass. Critically acclaimed and a cult classic, it unfortunately fell victim to its episodes being aired out of order and thus confusing audiences. This collection contains every episode that aired (in the proper order) plus three more that never saw broadcast television, a total of fourteen. I highly recommend this series to anyone interested in sci-fi. The pilot is a bit slow, but if you continue on, it only gets better. For closure, creator Joss Whedon reassembled the crew for 2005’s feature film, Serenity. Hopefully the deep freeze of January will give to something resembling livable weather. Here’s some things to check out next time you’re here! If you love the relationship between dog and man, this book is for you. The story of a man facing debilitating back issues and how he adopts and self-trains a former racing greyhound to be his service dog. 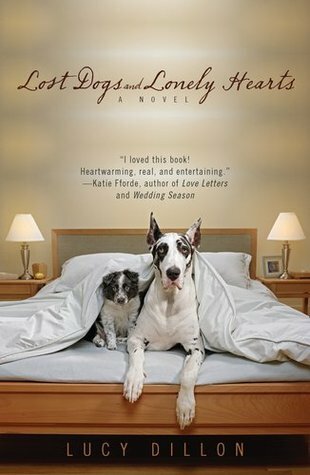 A true story, the book cites the struggles of slowly losing independence due to illness and the joys of dog ownership and one dog’s devotion to his master. This is a heartwarming read and recommended for everyone, but especially dog lovers. Everyone’s heard of Mark Zuckerberg, the man who started Facebook. Although Randi Zuckerberg no longer works for the multinational organization, she did learn a thing or two in her time there. Do not plan a presidential town-hall meeting in an empty warehouse in two weeks while you’re almost nine months pregnant, for example. The most important thing she took away from working at Facebook and working with other online organizations for years was that there is a balance that can be struck between being tech savvy and being, essentially, a robot. With section titles like “DotSelf,” “DotFamily,” “DotCareer,” and “DotLove,” Zuckerberg breaks down the essential parts of a modern woman’s life and gives tips and cautionary tales about how technology can be fit into one’s life. Her book reads like a conversation with the book’s audience which makes it much more a fun read than a scholarly one. Because she’s writing from first-hand experiences, it might be difficult at times to relate to her (especially being a Chicago native who is just finishing graduate school) but she does bring up some excellent points about authenticity online and the evolution of the modern woman’s brand as it is represented across multiple social media platforms. I’d recommend this book to any person who feels the need to be constantly plugged in to their iPhone, iPad or other technological device. Zuckerberg’s message is although it’s arguably the most difficult habit for a citizen of the 21st century to break: having time away from technology is a reward in and of itself. This is a touching story about friendship and growing old. 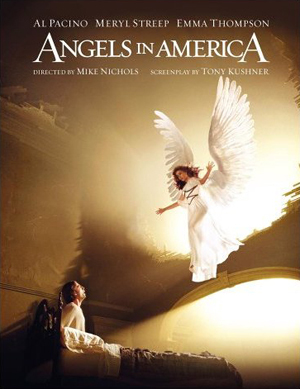 It is set in North Carolina and centers around a nursing home. Over the course of many years, it tells the story of five women connected with the nursing home – two residents of the home, a nurse working there, her daughter, and a hairdresser working there. The story is narrated by each of the main characters in alternating chapters, which allows you to get to know and understand each character more deeply. A lovely story, filled with wisdom and celebrating friendship and following your own path in life. A single mother can’t handle her 16-year-old son Andrew, depressed after the suicide of his best friend. After he gets expelled from his Chicago school for bringing a knife to class, his World War II veteran grandfather in California, Mead, takes him in for several weeks in order to try and reach the boy. Andrew and his grandpa don’t have much in common, though, and Andrew instead forms a bond with his grandpa’s neighbor, a widow with eyes for Mead. After Andrew makes a serious mistake, his grandfather, at his wit’s end, decides to take Andrew on a trip to Normandy where he was part of the D-Day Invasion, hoping the experience will help Andrew mature and realize his good fortune. Mead has demons of his own as a result of his war experiences and both grandfather and grandson learn some valuable lessons on their trip. The first book in James Herriot’s beloved five-book collection: All Creatures Great and Small, All Things Bright and Beautiful, All Things Wise and Wonderful, The Lord God Made Them All, and Every Living Thing, first published in the 1970s, with the last book being published in 1992. James Herriot was the pen name of the British veterinarian Alf Wight. These books are a fictionalized account of his life as a country vet in England. He began his career in the 1930s by joining the practice of a vet in rural Yorkshire. The books are funny and warm-hearted, but also touched with sadness as they detail both the triumphs and the tragedies of veterinary medicine in that time period. Herriot had a gift of bringing a scene to life and bringing out the humor in a situation. He also was very compassionate and you can see the love he felt for his animal patients and human family and friends shine through in his writing. If you are an animal lover and you haven’t read James Herriot, you are missing out on a special writer. If you have not seen The King’s Speech, it deserves all the accolades it has received. The film focuses around the friendship of King George VI (Firth) and an unlikely ally: a speech therapist and failed theatre actor, named Lionel (Rush). Based off the true relationship between these two men, The King’s Speech delves into the lives of the monarchy, speech disabilities, and an unconventional friendship which affirms the power of each individual’s unique voice in society. Leaves, pumpkins, corn mazes, costumes and candy. October! Bob is no ordinary cat. This is a heartwarming story of a profound friendship between a man and his cat. Hard times brought them together as they find their way on the streets of London. Drawn together by mutual circumstances they are two great souls who have come together to remind us of the power of friendship and the power of love! 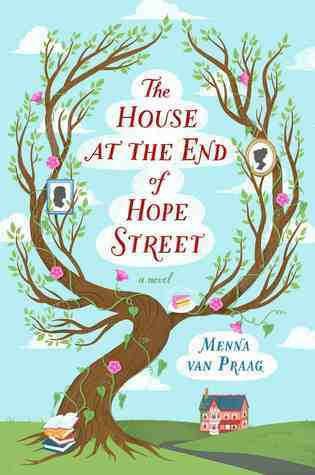 An enchanted house that has stood for two centuries offers refuge to women who have lost hope and helps them turn their lives around. Over the years, such notable women as Florence Nightingale and Sylvia Plath have stayed at the house and their spirits still inhabit it and offer advice to the current residents of the house. The book tells the story of three women who find their way to the house and how the house and its keeper, Peggy, affect the women’s lives and how Peggy’s life is changed also. Although the book addresses serious issues in each woman’s life, the tone is optimistic throughout and the book celebrates each woman’s individuality. A magical and original story that provides satisfying resolutions for the four women. Rachel is at a crossroads in her life after losing her job and her boyfriend. She inherits her late aunt’s dog kennel and rescue. Through running the kennel and trying to find homes for the dogs, she meets a group of people whose lives are changed as a result of their experiences with the dogs and each other. A warm story about finding happiness after disappointment, especially good for dog lovers. If you’ve never read a P.G. Wodehouse novel, you are missing out on one of the funniest writers ever. This is the second novel in his Bertie and Jeeves series, about bumbling, good-natured, but not too bright Bertie, and his personal manservant, Jeeves, whose large brain gets Bertie out of one jam after another. 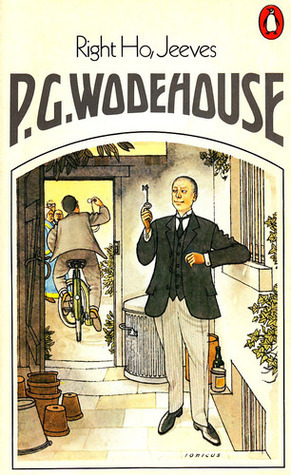 Wodehouse was brilliant at creating complicated plot lines that are all brought together at the end of the story. In this book, Bertie is trying to help his shy and socially awkward pal Gussie work up the nerve to propose to Madeline, while also helping his aunt pay off her gambling debts and trying to patch up the argument between his cousin and her fiancee, but Bertie’s efforts, as usual, go wrong and much hilarious mayhem ensues until Jeeves works it all out in the end. Most book-lovers have (at least a mental) bucket-list of books to read. 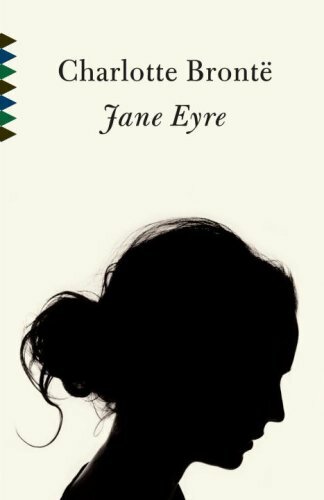 And on this to-read list, Charlotte Brontë ’s Jane Eyre usually comes up. And sadly, most of the individuals who have this on their bucket-list are females. This makes me want to pull the ginger hairs out of my head. You see, when finally coming around to read Jane Eyre, it defied all of the images it is usually tagged with. It is more life narrative than romance. It is the story of a strong-willed woman, yes, but it shines with human resilience and vigor. And of course, there is a touch of Brontë madness. Please do yourself a favor: move this up on the book bucket-list. Save a ginger. 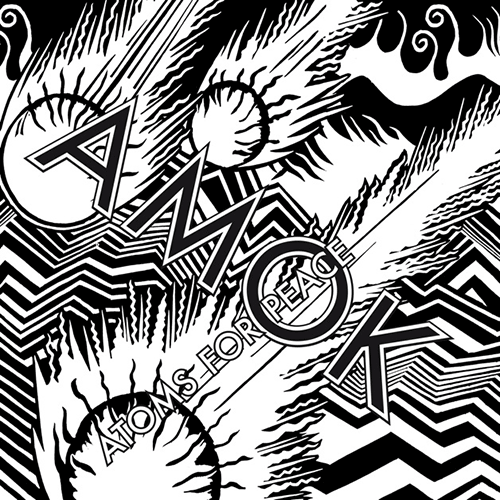 Haunting and soothing, Amok is a creation with a tired-sounding voice at its heart. Radiohead lead singer, Thom Yorke, along with other individuals in this superband, bring their own styles, and music concepts into this album, which makes it stand out. There is a palpable feeling of stress in Yorke’s hypnotic vocals. A voice, perhaps, that is aware of the weight it has. There is no one like Janelle Monae right now. Her blend of Afrofuturistic funk/psychedelic/R&B gives her a sound so unique it almost has no genre. 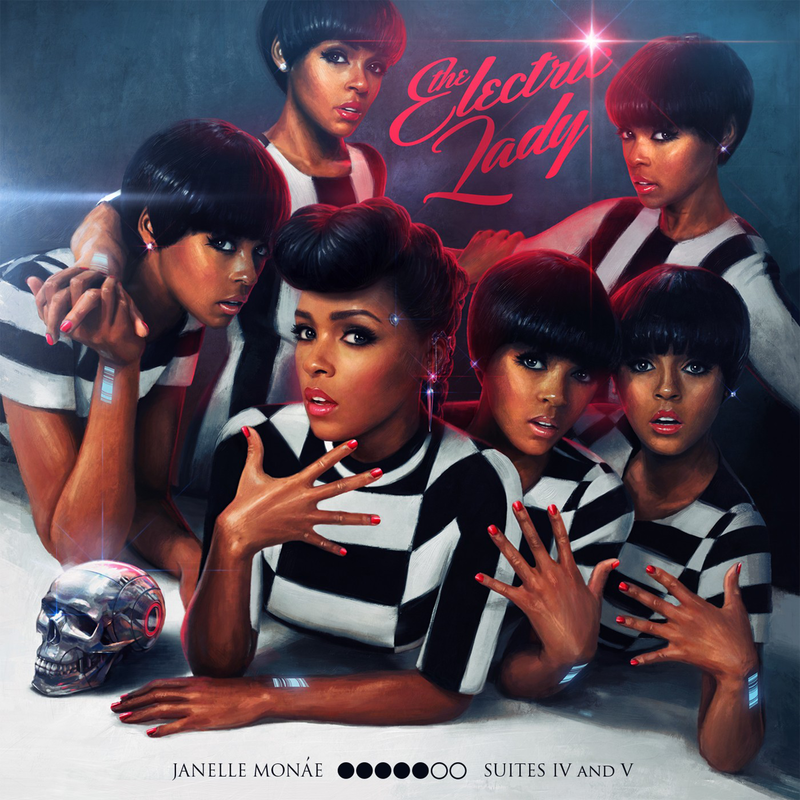 “Electric Lady” is a follow up to her amazing 2010 record “The ArchAndroid” and is an excellent next step for this incredibly talented artist and performer. This is a record that you need to hear straight through because I promise you’ll replay it again and again.